Before he was K Rezz, they used to call him Reza, a music enthusiast who just wondered the streets of Los Bermejales, Seville. He didn’t really know what he really wanted to pursue as a profession, but all he knew was that, music had been a part of him from the very moment his soul was touched by the magic of music while listening to a radio broadcast as a small child on one summer night. In January 2015, while undertaking the engineering course at Newcastle College, he started looking at music courses offered by the same college and came to this conclusion that once in his life he deserved to pursue his lifelong passion. Thus, his journey in the world of music began. K Rezz finally started his studies in Music in September 2015. He first started off with Hip hop, his lifelong favourite genre, however after spending sometime on exploring new genres, he came to know about the genre Drum and bass and then he slowly grew an affinity for the genre, which helped him further expand the scope of his knowledge of music. During this time, he worked on many different projects outside his course such as making soundtracks for short movies and, also making beats for different artists. 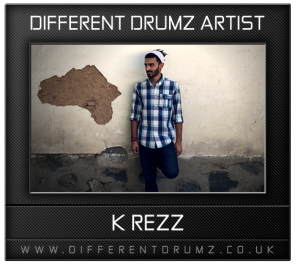 K Rezz’s first breakthrough came when his Drum and Bass track called ‘Nostalgia’ was selected by the BBC music department, which was later broadcast on the radio in April 2017.